This year has absolutely flown by and we can’t believe it is nearly time for far too many mince pies once more. UPDATE – we have had a change of plan and are now having an informal Christmas get together on Monday 14th December for drinks, food, fun and some plotting for the year ahead. We are meeting at our very own Emma Keller’s lovely home in Old St at 7pm. Please bring something you would like to eat and drink to share with the group and a very small up-cycled, homemade or sustainable item to help us create some magic with sustainable secret Santa. Please don’t giftwrap anything as we don’t want to create lots of unnecessary waste. We want to hear what you’ve been up to and tell you a bit about our plans for next year. We would love you to be a bit more involved in what we do and have some very exciting ideas lined up we want to run by you. 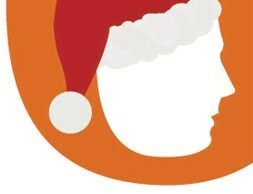 Send us tweets @6_heads with your best ideas for Christmas as unusual and sustainable gifts. Everyone who would like to be more involved with 6Heads in 2016 is welcome. Until we see you here is a wonderful animation by Nice and Serious where children reimagine how a Sustainable Santa would deliver your presents.